An ongoing issue with cell phone carrier T-Mobile may be connected to the death of two people in the Dallas area after massive delays in the 911 dispatch system followed an influx of hung-up calls. The root of the problem remains a mystery. Police 911 dispatchers are often a lifeline in an emergency and are required to return every call that's hung up. Unfortunately, a problem with T-Mobile that began in November resulted in massive amounts of hang-ups, or ghost calls, that dispatchers had to manually return. As a result, two people died last week after being unable to reach a Dallas police dispatcher. While T-Mobile is bearing the brunt of the responsibility for the poser in Dallas, AT&T had similar 911 issues earlier this month in 14 states, according to the New York Times. On March 8, some AT&T customers were unable to get through to their local police departments for five hours. The telecommunications giant did not specify the cause of the snag or how many people were affected. On Tuesday, the Dallas city government confirmed that 6-month-old Brandon Alex died after his babysitter was unable to reach a call taker. On Saturday, the babysitter was on hold for over 30 minutes and, due to her lack of a car, was forced to wait until the boy’s mother returned from a funeral to take him to the hospital, where he was pronounced dead. The city government claimed there was “no evidence at this time connecting the child’s death to the T-Mobile ghost call issue,” but the boy’s mother, Bridget Alex, disagrees. "This has been going on since November. It took me to lose my son for y'all to call extra people, extra techs to be here," she told KXAS. "It took me to lose my six-month-old son? Why did my child have to be the example?" On Saturday, there was also a flood of ghost calls to the Dallas Police Department that required manual call returns. On Wednesday, David Taffet came forward and claimed that his husband’s death was the result of the same problem. On March 9, Taffet noticed his husband, David Cross, had stopped snoring during a nap. Taffet called 911 while attempting CPR, but was repeatedly disconnected and had to call back. After 20 minutes, he was able to speak with a dispatcher. But by then it was too late, and Cross died within an hour, the Dallas Morning News reported. The day that Cross died, the Dallas Police Department had 360 emergency calls on hold, according to the Washington Post. "Get it right and fix it. I just don't want this to happen to somebody else," Taffet told KXAS. The problem has not been fixed largely because no one really knows what’s causing it. The issue was first noticed in October, but it did not become a large scale question until November when the ghost calls spiked. "We thought we had the issue resolved in January, but then February it became even worse, and we have been dealing with it since then," said Deputy Police Chief Jesse Reyes. 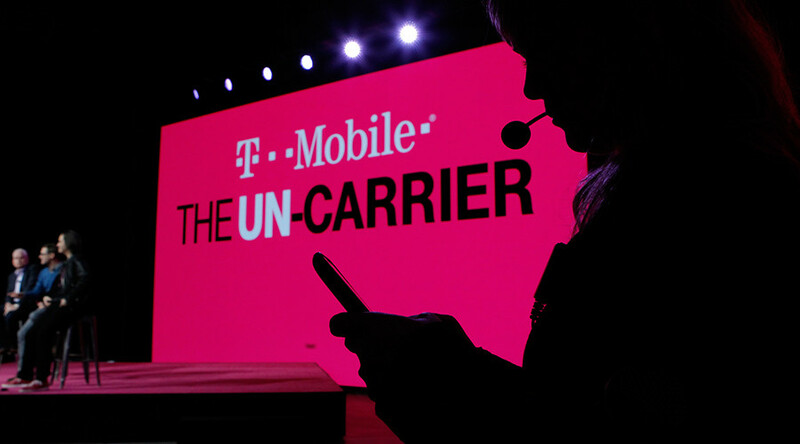 T-Mobile executives have vowed to fix the issue and has dispatched their top engineers to Dallas where they will remain until the problem is fixed. "Clearly we share this obligation, this responsibility with the city management leadership as well as the mayor's office in a very sincere and deep way," T-Mobile Executive Vice President David Carey said.